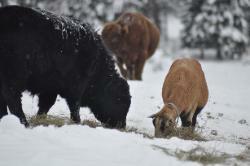 hardiness, disease resistance and its very good meat and milking quality. anywhere. The size of the Dexter makes them ideally suited to the small property owner. 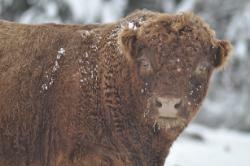 Dexter bulls make excellent crosses on traditional beef breeds since they reduce the stress on first calving heifers. 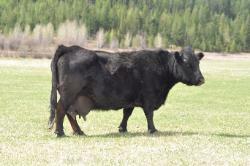 cross-bred calf usually grows to 7/8 the size of the dam. gallons per day (9 to 13 litres). 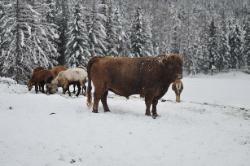 We currently have a small herd consisting of 3 Cows and 1 Bull. 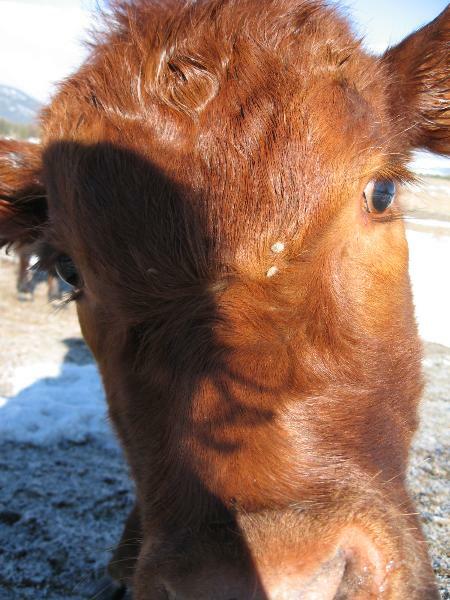 We milk on the pasture, Red is great with this method. She patiently waits and pauses her grazing until I'm finished. To me that just proves the wonderful calm and relaxed character of this breed. This season(2013) we will be training our new Yearling heifer Winter to be milked as well. call him our little buffalo because of how beefy he looks. 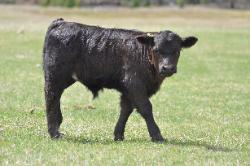 This trait he passes onto his calves, they are born with great muscle tone which only improves with age. dirt....... gotta love these cows!